Stability fix for iOS 7 users. So, so, so sorry. So sorry. Did I say, I'm really sorry? 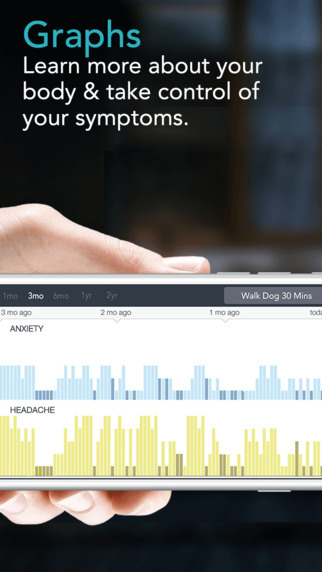 Meet SYMPLE, an elegant, intelligent symptom journal for iPhone. HOW YOU FEEL is a crucial part of your overall health. The first step in overcoming your symptoms is to first recognize them. Like a thermometer in your medicine cabinet, Symple captures important information that helps your doctor help you. 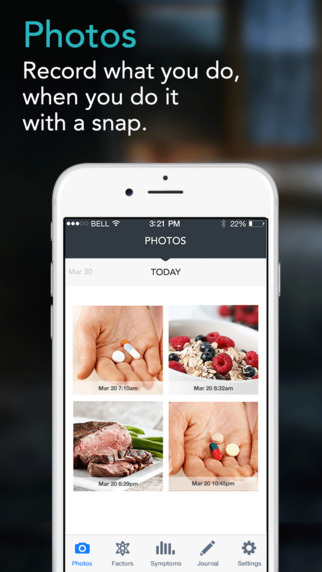 There when you need it, and out of the way when you don't, Symple empowers patients to better report and manage the symptoms of any disease or condition. See how WHAT you do affects HOW you feel. By tracking your symptoms & the factors that influence those symptoms (like starting a new medication, walking for 30 minutes, or adopting a gluten-free diet), you can discover what helps and what hurts. - Does exercise affect your mood? - Is red wine the cause of your insomnia? - Does prednisone reduce your bowel pain? Beautiful graphs merge factors & symptoms into one, so you can see how they relate. Rotate to landscape to launch graphs, then swipe to scroll through current symptoms. FIVE STARS "My shoulder pain kept coming and going, but I didn't know why. Tracking it with Symple helped me figure it out." FIVE STARS "Remembering what happens between office visits is a breeze. And I love the Doctor's Report. Yay!" FIVE STARS "Symple offers my patients a better way to report their symptoms, which lets us be more collaborative. Good work!" BUILT WITH BOTH THE PATIENT AND CLINICIAN IN MIND. Please keep sharing feature requests, questions & advice. We can't get better without you.